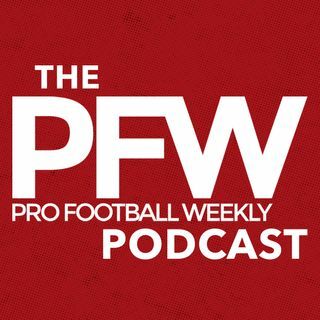 In this week's Pro Football Weekly podcast, Ty Schalter (VICE Sports, The Comeback, Pro Football Weekly, & SiriusXM) joins host Arthur Arkush to talk Schalter’s “Hot Read” focusing on the Rams/Dolphins matchup, and Jared Goff’s premiere in the NFL. The guys also chat about guard & tackle size in the NFL, Green Bay at Washington, Cardinals at Vikings, and the Detroit Lions potential path to the top of the NFC North. PFW’s Hub Arkush joins Arthur later in the show to talk “The Way We ... See More Hear It” as Gus Bradley’s job may be in jeopardy. They also breakdown the Texans/Raiders matchup in Mexico, and discuss Tony Romo’s statements on Dak Prescott.